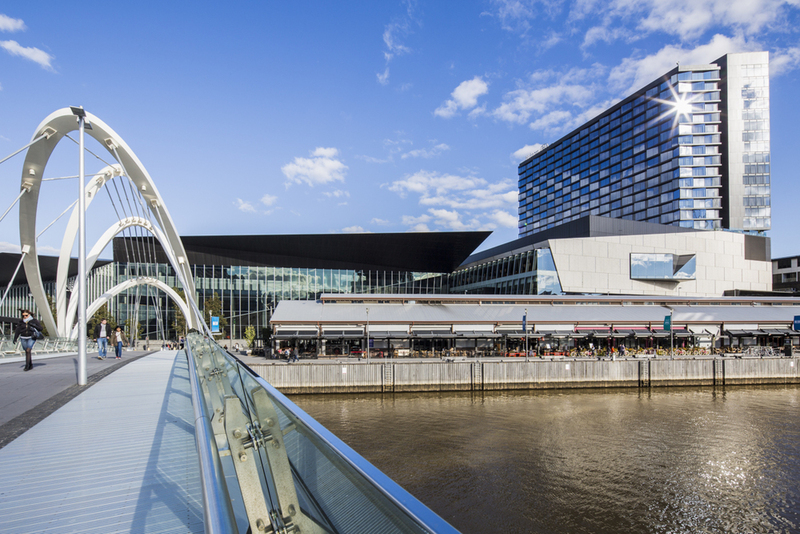 This modern day ‘Church for Beer’ is located alongside the Yarra River. The design challenge was to convert a vast cavernous shed, into a warm and inviting pub that would successfully trade through winter as well as warmer periods of the year. 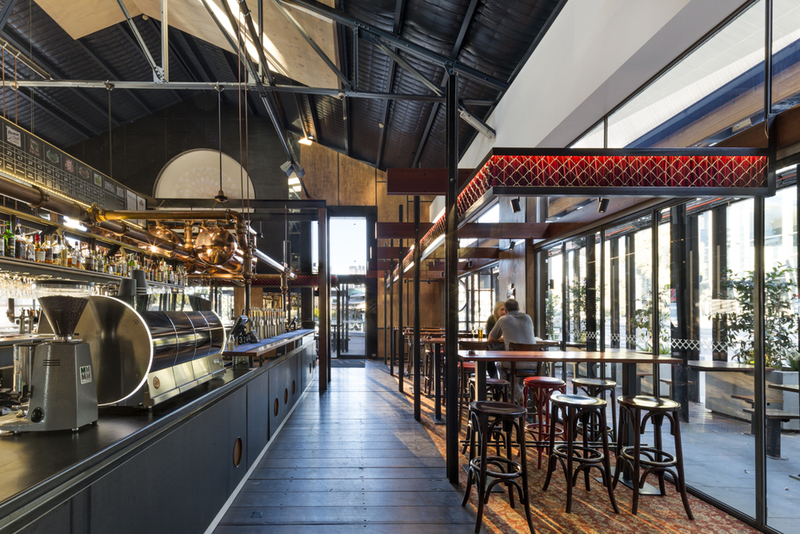 The high level ceiling was blacked out to help control the perceived height of the space, with a palette of warm plywoods and mirrors, with copper and marble detailing to the bar to provide intimacy. Other adornments, such as a projection of Notre Dames famous circular window as well as strips of red velvet, have an air of church and confession about them.